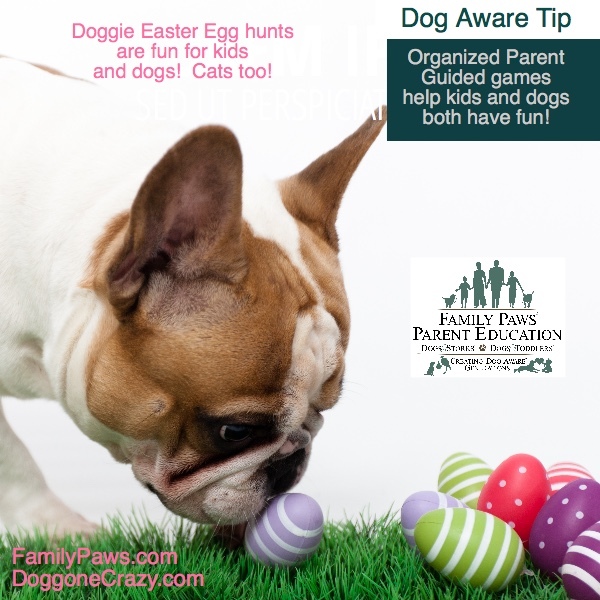 Kids Easter Egg Hunt fun! All you need is some tasty treats, kids to stuff and hide eggs and family dogs (and cats). ***Dog Aware Tip*** We encourage to do food activities with one dog at a time to prevent any conflicts or safety issues. Check out Windsor and his egg fun! Previous PostPrevious Ready to join the Family Paws Team of professionals? Next PostNext Kiss to Dismiss- Not all licks are the same.